It was a chilly Sunday, earlier this Autumn, when I lined up in a lengthy queue in front of the Museum of the Warsaw Uprising in the Polish capital. I was in the company of my old friend and academic master Professor Hans-Bernd Schäfer, who was visiting Poland those days. We spent roughly one hour moving slowly towards the Museum’s admission. This reminded my companion of a story he shared with me while we awaited our turn. The story was about a similar experience Hans-Bernd Schäfer had years earlier in Washington, where he once spent even a longer time amidst American people lining up to pay a last tribute to the late William Rehnquist, Chief Justice of the US Supreme Court, who passed away a few days earlier. A phenomenon unthinkable to this scale in Poland and Germany alike, where citizens wouldn’t care to show up in crowds when a chief justice dies. But what if the whole constitutional court would be to pass away? The recent tumult around the Constitutional Tribunal (Pol. Trybunał Konstytucyjny) in Poland involved two major parties taking an unconcealed partisan stance and indulging into political rent-seeking, though with varying revolutionary zeal, as this article seeks to evidence. But it wasn’t until the aftermath of the last election with the power shift from the Civic Platform (Platforma Obywatelska – PO) to the Law & Justice party (Prawo i Sprawiedliwość – PiS) that the wrestling around the seats in the Tribunal arose to such a level as to make headlines in Polish and international media. The alert has soon turned into a public outcry and SOS for democracy in the heart of Europe. Before getting down to the facts let’s have a brief disclaimer: freedom and democracy are so precious, in this part of Europe, maybe more than elsewhere in the modern world, that one should never take them for granted. But resorting to a narrative by which there allegedly was a downfall of democracy in Poland would go way too far. As long as there is a freedom of assembly where people can gather and protest, express their views in the most articulate way, what many actually do these days across the country, as long as the mainstream media remain for the most part highly critical about the PiS orchestrated developments, as long as political parties can turn the current crunch into their future electoral victories or suffer defeats for how they spark or handle the constitutional crisis today – as long as all this is in place, any claim of a sunset of democracy in Poland is not sufficiently substantiated and plainly exaggerated. And even worse, as it causes an inflation of words and weakens the credibility of any future alerts should they ever become necessary. This also propels symmetrical counter-narratives leaning towards various conspiracy theories to justify the hard stance of the newly elected parliamentary majority vis-à-vis the Constitutional Tribunal as an alleged redoubt of the corrupted and indolent ancient regime embodied by the former ruling party PO – a storyline many supporters of PiS want to accept. Having said this, I do not want to downplay the gravity of the situation by any means. Quite the opposite: it all may well be just a prelude to more serious inroads into the sacred sphere of civil liberties. All the aforesaid pillars of democracy are to some extent contingent upon their legal underpinning in the form of constitutional guarantees. Getting the Constitutional Tribunal out of the way may well be about the pursuance by PiS of salami-slice strategy with further cuts ahead. So let the irregularities be called by their names and put in a proper chronological order and the right political context. Same as in a Shakespearean tragedy, the whole story to be told about the constitutional crisis in Poland, is divided into acts. But unlike in a typical drama, where you usually have an evil character, a noble character, and a tragic figure, and you may intuitively yet misleadingly be inclined to cast the government, the opposition, and the court in the respective roles, the constitutional crisis in Poland does deviate from this classic scheme. It is rather based on a plot where everyone involved is to blame at least for a part of the calamity, and this includes the Constitutional Tribunal itself. At least two of the acts of the constitutional drama were played before the Law & Justice party took over. First, it is hard to deny the subtle impropriety of the involvement of three of the incumbent justices in the drafting process of the new Act on Constitutional Tribunal and this well beyond a mere substantive input – the records of the responsible parliamentary committee since 2013 onwards reveal that they were actively pursuing the case down the entire road of the legislative process. As valuable as the insiders’ insight may be for working-out an efficient design of a legal framework under which the Constitutional Tribunal operates, it is still difficult to reconcile the involvement of the incumbent justices with principles of Montesquieu’s division of powers. It is not only about mixing the roles of the legislature and the judiciary, but also potentially by the Constitutional Tribunal’s placing itself into a position of iudex in causa sua, if the Tribunal was ever to adjudicate on the constitutionality of this new Act – a prospect that soon turned into a nagging reality. The incriminated modus operandi also blurred borders between the judiciary and the executive. Here it must be recalled the close cooperation of the Tribunal’s leadership with the then serving President of the Republic Bronisław Komorowski, who formally launched the legislative process by submitting the draft Act to the parliament. What makes the picture look even worse is the fact that the degree to which the justices’ determined the draft Act had long remained shrouded by secrecy. The Tribunal’s Chief Justice proved reluctant to reveal to the public the proposal for a draft Act and accompanying materials and it wasn’t until an NGO – a civil society transparency organisation forced this disclosure by defeating the Constitutional Tribunal before the Supreme Administrative Court. And this happened not to be an isolated incident, as shortly thereafter resorting to strategic litigation has again proved necessary for civic activists to obtain information on service contracts concluded by the Tribunal with various experts and on cash-flows resulting thereof. A Constitutional Tribunal found being in breach of public law and neglecting civic rights, to which protection it is bound, is a notable development in itself signalling both the good and the bad. The bad is obvious, the good is the ultimate prevalence of the rule of law over the sense of solidarity among the judiciary. This is just a part of the background story, by no means an excuse to how the situation around the Tribunal recently tapered. But still it can be seen as an alibi for the new ruling party to step in. And in fact, not the only pretext for the current backlash. A much stronger alibi was recklessly delivered by the former ruling party Platforma and their allied former President Komorowski. The trigger of the crisis and in fact the prelude to future tragedy started in 2013 and peaked in the summer of 2015. In 2013 the former President of Poland Bronisław Komorowski put forward the aforementioned draft Act, produced in close cooperation with the justices of the Constitutional Tribunal, if not solely by the latter. To give credit to their job one must acknowledge that the draft contained important improvements with regard to the selection procedure of future justices intended to raise the quality of the panel and weakening the political influence of the Courts’ makeup. The proposed enhancements included a revolving-door sort of limitations to be imposed on politicians craving to switch seats and don a robe. It also contained provisions designed to empower the peer-review of potential justices by extending the nomination right to the academia and legal profession with a view of further decoupling the Tribunal from the realm of political greed. However, most of the proposed improvements have been eventually dropped along the legislative path in the PO-controlled Sejm. Instead, towards the end of the term in office of the former parliament, a new, controversial provision suddenly popped up. The new provision, technically a transitional one, entitled the departing majority to a last-minute appointment of up to five replacement judges including two seats that were to become vacant long after the newly elected parliament was to assume its duty. The official rationale behind the advancement of the appointments as chronicled in the parliamentary records invoke an unfortunate coincidence of the successions to take place around the same time both in the parliament and in the Constitutional Court. But concerns about the constitutionality of the “transitional” Article 137 of the new Act became apparent ever since the cunning idea of appropriating the power to select beyond the parliaments’ term in office germinated. Notwithstanding the objections by the then opposition party Law & Justice (PiS), the reigning coalition of the Civic Platform (PO) and the Polish People’s Party (PSL) backed by the post-communist Democratic Left Alliance (SLD) pushed the law through, in a procedure that seemed hasty by yesterday’s standards but has soon turned to appear sluggish by the standards of today as infamously set by the new majority party PiS. The outgoing President Komorowski signed the controversial Act on July 21st, 2015 – one of his last days in office. Soon thereafter it became binding law (promulgated on July 30th, 2015 and entered in force 30 days later). To give an accurate account of the facts, it needs to be emphasised that the said Article 137 was not a part of the initial draft as worked out at the Constitutional Tribunal and it was crafted by politicians only at the final stage of the legislative process. The judges participating in the legislative process never supported this provision but there is no evidence of their opposition thereto either, in spite of their attendance of parliamentary committee’s sittings. Based on the controversial transitional provision – Article 137 of the new Act, an advance selection of all five replacement judges, one-third of the total makeup of the Tribunal, took place on October 8th, 2015 during the very last sitting of the outgoing Sejm. In fact all five retiring judges were to step down after the scheduled election date (October 25th, 2015), so if the first sitting of the new parliament had been summoned just a few days earlier, immediately after the promulgation of the election results, all the five appointments would have become effective outside of the former Sejm’s term of office. Eventually, with the first sitting on November 12th, 2015, it ended up with two (out of five) new justices scheduled to commence their terms already well after the new Sejm took over. However, Andrzej Duda, a former PiS member and Komorowski’s successor in the presidential office, took a less nuanced stance and delayed taking the oath from all five judges selected on October 8th, 2015. Admittedly, Article 194 sec. 1 of the Polish Constitution vests with the Sejm the sole power to select judges of the Constitutional Tribunal, yet it is the president’s role to swear in the newly selected judges. President Duda turned to procrastination, thereby deliberately uplifting a mere formality to a co-determination mechanism without any constitutional basis therefor. The newly selected judges got trapped in the procedural deadlock and the pending replacement process got frozen. On October 23rd, 2015, just two days before the elections, PiS referred the Act to the Constitutional Tribunal invoking its unconstitutionality on several counts. In particular it challenged the “transitional” Article 137. On November 10th, shortly after victorious elections, PiS withdrew its own motion, hence the proceeding before the Tribunal had to be discontinued. The idea behind soon became apparent: instead of resorting to a judicial remedy, the now majority party decided to remould the law to their own needs by the tools they now have had at hand: the legislative process. One week later, Platforma, who now switched sides with PiS and moved to the opposition bench, put forward a motion to the Constitutional Tribunal to scrutinise the constitutionality of the Act, before PiS would have a chance to change it. A genuine qui pro quo if you consider that the now opposition party Platforma challenged the law pushed through by… the then ruling party Platforma. Political schizophrenia? More likely, it was rather an opportunistically-driven U-turn resulting from PO’s change of perspective. What makes the story even more of a tragi-farce is that the motion by PO was identical with the previous motion that PiS first submitted (as the then opposition party) and subsequently withdrew (after becoming the majority party in the newly elected Sejm). Right after the victorious election, PiS decided – through a coordinated action – to make a thinly veiled attempt to subdue the Constitutional Tribunal. With the blatant support from Andrzej Duda, a former member of the PiS and Komorowski’s successor in the presidential office, the new incumbents traded Shakespeare for Hitchcock by starting with an earthquake followed by rising tension. The developments took a sharp and rapid turn. PiS withdrew their motion for review of the constitutionality of the Act passed by the old Sejm. Not that they would suddenly change their minds with regard to the substance. But the circumstances changed and so did the interests. In the disguise of a guardian of the Constitution, PiS pre-empted the ruling by the Tribunal and decided to push forward the amendments to the Act not via the constitutional review by the Tribunal but rather via legislative process controlled by themselves. The reason for which PiS wouldn’t now want to see a judgement on (un)constitutionality of the “transitional” Article. 137 of the Act was straightforward: the draft law to amend the Act was already being elaborated with a twin Article 137a. On November 13th, 2015 the new draft law amending the controversial Act saw the light of day. The pertinent Article 137 was to be replaced by a mirror Article 137a. The later provision was designed with a view to reopening the selection process and refilling the five seats in the Tribunal, disregarding earlier selection by the old Sejm. The new law was adopted by the Sejm on November 19th, 2015, signed by President Duda on the following day (20.11.2015) and promulgated forthwith. Just to remind: the same Duda hasn’t proved equally quick-reacting with taking oaths from the justices selected by the old parliament, even though their term in office has already started to run. President Duda kept playing his procrastination game until he eventually explicitly refused to swear in the five judges appointed by the old Sejm. He argued that the appointment was based on an unconstitutional act – again putting himself into the shoes of the Constitutional Tribunal. On November 30th, 2015 the Tribunal, sitting in full court, by unanimous vote, issued an injunction mandating the Sejm to refrain from selecting or taking actions towards selection of any new judges until the Tribunal finally decides the case on merits. The injunction was ordered with a view to prevent any developments that would undermine the effectiveness of the pending constitutional review of the act. An unprecedented recourse to the injunction was received as a means of the Tribunal’s self-defense, yet it encountered spilt opinions. Either way, the injunction manoeuvre, as the Tribunal’s ultima ratio, has soon proved toothless. The order notwithstanding, the PiS controlled Sejm went unconcernedly on and late in the evening of December 2nd, 2015 selected five new justices – substitutes for the former replacement judges. In view of the blistering determination of the majority it may be a mere subtlety to point to the fact that the “substitute” transitional Article 137a had not yet entered into force at the time when the “substitute” replacement judges were hastily selected. For Reconquista-obsessed majority a secondary issue at best. Immediately thereafter, before dawn on December 3rd, four of the five substitute-replacement judges were sworn in by President Duda. The notorious “midnight judges”, as the early 19th century eleventh hour appointments were referred to in the US, have in 21st century’s Poland first reincarnated as the last-minute appointees of the old Sejm and then reappeared in an even more literal sense on the opposite end of the political argument as substitute-replacement judges selected after the sunset and sworn-in before dawn. The following day, December 3rd, 2015, the Tribunal delivered a judgment on the constitutionality of i.a. the incriminated transitional Article 137. In this regard – quoting from the English version of the official press release: “[t]he Tribunal ruled that Article 137 of the Constitutional Tribunal Act is unconstitutional, insofar as the provision made it possible for the Sejm, during its previous parliamentary term (2011-2015), to select two judges to the Constitutional Tribunal in place of the two judges whose terms of office were to end respectively on 2 and 8 December 2015. By contrast, the provisions regulating the procedure for selecting three judges who had been chosen to assume offices after the judges whose terms of office ended on 6 November 2015 were ruled to be constitutional”. With regard to the President’s refusal to take an oath from the legally selected judges, the Tribunal held that the head of state was obligated to swear in the said justices forthwith. The Tribunal declared any contrary interpretation unconstitutional, as it remains outside of the President’s powers to select judges to the Constitutional Tribunal and the sole competence thereto is vested by the Constitution with the Sejm. As the judgment of December 3rd sets forth, “any potential doubts that the head of state may raise as to the constitutionality of legal provisions on the basis of which judges have been selected to the Constitutional Tribunal may only be addressed by the Constitutional Tribunal”. The judgment, as clear as it may legitimately appear, did not in fact contribute to the settlement of the political dispute but met with further obstruction by PiS-dominated Sejm and stirred some legal procedural doubts as well. Even though the judgement shall be final, universally binding, and irrebuttable (Article 190 sec. 1 of the Constitution), it only takes effect from the day of its publication (Article 190 sec. 3 of the Constitution), and the publication shall be made forthwith (Article 190 sec. 2 of the Constitution). Since however the official gazette is administrated by the government, and the immediacy requirement, as one speciously could argue, isn’t a bright-line rule, the publication may theoretically be arbitrarily postponed. As absurd as this theoretical assumption may appear, the practice has soon validated its premises: the government dared to refuse the publication and has hence made the judgment virtually non-existent. Interestingly however, the government substantiated its refusal by pointing to a formal deficiencies of the judgement: according to the Article 44(1)(f) of the Act on Constitutional Tribunal, the Tribunal shall adjudicate in full bench if the case is of particular complexity or significance. Needless to say, at least the latter undeniably holds true for the questions at stake. And it was the Chief Justice himself that first ordained the case to be decided in full bench, as the statute prescribes. Only after it became evident that the parties to the proceedings may request the recusal of the three judges who have previously been involved in the legislative process (including Tribunal’s Chief Justice himself), the procedural order was amended so that the case would be decided by a “default” panel of 5 judges. The amendment has not been duly substantiated, yet the rationale behind it was obvious: an imminent threat of a deadlock in the Tribunal stemming from the former involvement of three judges in the legislative process. Setting aside a valid legal point, namely the question, if a pragmatic consideration (the Tribunal’s inability to adjudicate in full bench) could prevail over the statutory formalities (the full bench requirement), one thing remains obvious: the ruling majority again attempted to pre-empt the Tribunal’s exclusive power to finally resolve the pertinent constitutional issues. The government, by abusing its auxiliary competence, or in fact its duty to act as an agent for the Tribunal with regard to a purely technical matter, that being printing of the official gazette, endeavoured a superrevision of the judgment, without having any constitutional basis therefor. For a third time in just few days the same pattern repeated itself: first the president usurped the right to decide about the constitutionality of the selection by refusing to take the oath from the judges appointed by the former Sejm, second the parliament pre-empted the Tribunal by changing the law it opportunistically found unconstitutional in spite of a pending review process, and now, third, the government refused to publish the Tribunal’s judgement on the grounds of its purported procedural irregularities. A sad spot where the justices’ myopia (reckless involvement in the legislative process) meets the government’s impertinence (harsh and unrestrained backfire). Eventually the government yielded and the judgment was published on December 16th, 2015 – a long 2 weeks after the ruling. But it wasn’t until a new ace was ready to come to play – a new amending act put forward by PiS on December 15th (cf. Section X infra). On November 9th, the Tribunal ruled on the constitutionality of the amending Act of November 19th, 2015, that has been hastily pushed through by PiS and signed by the President just three weeks before. The amending Act has been literally smashed by the Tribunal. The following amendments were held unconstitutional: (i) the possibility of serving as the Tribunal’s Chief Justice and Deputy Chief Justice for two consecutive terms; (ii) the provision, whereby the newly selected justices were to be sworn in by the President within 30 days after the selection instead of being sworn in forthwith; (iii) the provision, whereby the judges’ term of office does not begin until sworn-in by the President; (iv) the reversion of the appointment of the three judges as legally selected by the former Sejm; (v) the annulment of the incumbent Tribunal’s Chief Justice and Deputy Chief Justice’ term in office, i.e. their “downgrading” to a regular justice’s position or expiry of their presiding powers. Last but not least, the Tribunal ruled unconstitutional the new substitute transitional Article 137a insofar as it concerns putting forward a candidate for a judge of the Constitutional Tribunal to assume the office after the judge whose term of office ended on 6 November 2015. This confirms the legality of the appointment of the three (out of five) replacement judges selected by the old Sejm, as ruled by the Tribunal in its first judgement of December 3rd, 2015. The judgement’s publication in the official gazette was again unduly postponed by the government and eventually printed on December 18th, 2015. X. Driving the final nail in the coffin? imposing of a supermajority vote (two-third) requirement each time the Tribunal adjudicates in full bench – in breach of Article 190 sec. 5 of the Constitution requiring just a majority (tacitly: a simple majority). The supermajority requirement doesn’t arise accidentally as it nicely coincides with the new blocking stock PiS will obtain in the Tribunal through their “midnight” appointees (substitute-replacement judges). A part of the manoeuvre has been not to have any vacatio legis – the act shall become effective from the day of its promulgation. This is to entrap the Tribunal in a vicious circle – the review of the new Act should be made in accordance with this new Act and the Act makes such a review impossible. The only way out would be to refer the Act to the Tribunal for constitutional review by President Duda before signing it (ex ante review). But will President Duda this time around prove more loyal to the Constitution than to his former party? Alternatively, the Tribunal may adjudicate based on the Constitution directly, paying no regard to the laws it finds unconstitutional along the proceedings. But will the ruling majority accept the ruling and obey? After the chess round it has always been boxing and they are the ones that have the punching power. By the time of closing this article the newly adopted law has been referred for approval to the Senate – the upper chamber of the Polish parliament – also PiS-dominated. Undeniably, there is an unscrupulous political bout going on and the aggravating constitutional crisis is both a result of the struggle and a means to prevail in the battle. The Socio-institutional underpinning of the crisis should be seen in a poor constitutional culture among the leading political figures on both sides and in the deepening Weltanschauung divide of the Polish society. Still, it wouldn’t give a proper account of the situation to deny that other countries and other times have seen similar developments as well. Notably Hungary under the Orbán administration has “successfully” marginalised the role of the Constitutional Court. In past centuries constitutional arguments were also eating away at American politics and society at large, recalling Franklin D. Roosevelt’s lost clash with the Supreme Court or the aforementioned “midnight judges” dispute over outgoing president Adams’s appointments rendered ineffective by his successor in presidential office, Thomas Jefferson. The prestige of the Constitutional Court and its power to interfere with the government’s policies make it tempting to do both – take the seats in the Court as one more political bounty and to neutralise the possible adverse effect of the Court’s independence on the government’s latitude in pursuing whatever policies or attaining whatever goals the government may wish. In spite of these two alluring prospects, never before in the nearly 30-years’ history of the Polish Constitutional Tribunal has any party dared a Court raid and any attempted manoeuvres were widely condemned and consequently nipped in the bud. What makes the situation look different today? Why would the ruling Law & Justice party strive to reform, or actually incapacitate the Constitutional Tribunal? How much thereof is attributable to an affect-driven political vengeance and how much to a cool calculation? The “bull in a china shop”-like diplomacy speaks for the former, but it certainly is more than just that. As Maciej Kisilewski convincingly points out, the weakening of Constitutional Tribunal may well be a conscious attempt to pave the way for the implementation of the party’s social agenda. An analogy to Roosevelt’s “court packing” is easy to discern. However, most of the promises made by PiS during the election campaign fall within social policy and are thus to a considerable extent subject to sole discretionary powers of the legislative and executive with little if any scope for judicial interference. But the reforming and reshuffling zeal by the PiS leadership is not restrained to socio-economic issues as the first weeks of the new government evidenced. As it was reportedly bluntly framed by an anonymous adviser to Polish President Duda “now begins the process of reconquering the country, and it may be brutal”. Media and civil service are among the first to undergo far-reaching reorganisation. Given this broader scope, a development parallel to a Hungarian “Orbánisation” does not seem a fully unrealistic prospect. And here we are back to democracy and to giving the people what they want. The Budapest analogy was not seen by the October’15 voters with dismay – many appreciate Orbán’s uncompromising foreign policy and valiant domestic reforms. But soon PiS will arrive at a check-point: do they deliver what they promised in the run-up to their electoral victories, first presidential in May and then parliamentary in October 2015? No excuses accepted. And, putting aside the morals and aesthetics of the party’s obdurate attitude towards the Constitutional Tribunal, let alone its legality, will this headstrong stance prove in any way effective if measured by the degree of attaining of underlying policy objectives? Putting it differently: will the Tribunal now turn more lenient towards the legislation produced by the ruling party? Even if PiS proves eventually successful with installing its “own” five judges, which is still an unsettled issue, the remaining majority may – as political analysts suggest – humanly turn hostile towards a party that is blamed for the coup. This subtle yet highly important issue could have been handled with a much more diplomatic touch. Unfortunately for the Tribunal and for themselves, the new ruling party PiS, instead of demonstrating adherence to the rule of law and searching for a compromise, decided to simply seek revenge for earlier irregularities by Platforma, and attempt to subdue and eventually downgrade the Constitutional Tribunal, something that Poland has not experienced in the last 30 years, since the establishment of the Court. And this certainly is deeply troubling. So we are now watching a sort of chess-boxing, a hybrid game consisting of rounds in chess and boxing, where the parties attempt to outsmart the opponent and if this doesn’t help, they simply punch. Contravention of the division of powers and disregard for the idea of limited government has repeatedly been perpetrated by the ruling party Law & Justice and “their” President Duda. It remains to be seen if the attempts made are understood by the perpetrators as a tool to facilitate party’s short-term objectives or as an ultimate goal to redesign Poland’s institutional order. For the latter it needs to be recalled that although PiS’s electoral victory remains undisputed and gives the party a democratic legitimacy to pushing forward their reform agenda, the majority won by PiS is not a “constitutional majority” meaning a supermajority granting the power to amend the Constitution and the institutional order resting thereon. And here justice needs to be given to Orbán’s Fidesz – who unlike PiS in Poland – democratically won the supermajority needed to revise Hungarian Constitution. In spite of falling short of obtaining a supermajority, Kaczyński’s party now attempts to get there through dubious by-passes trampling the rule of law and spoiling political and constitutional culture. But it is still more complex than just to say that the incumbents strive for the marginalisation of the Constitutional Tribunal. It equally appears to make a part of an attempted redefinition of elites and societal structure of post-socialist Poland, as defined by the renowned Round Table Talks and accompanying negotiations that led to a bloodless transformation started in 1989. In my view, the intensity and the nature of the crisis make it necessary to break a spell cast on the Tribunal. And it is not just about the pragmatics, meaning the legal framework and the unsettled appointments controversy. It is equally the symbolic power of the Tribunal that is at stake. Like it or not, the Tribunal has been severely hit and “desacralized”. The popular esteem enjoyed by the Polish Constitutional Tribunal, even if lesser in comparison with the American Supreme Court or the German Bundesverfassungsgericht, is still remarkably high, which becomes even more evident if account is taken of a positive gap in public confidence in the Constitutional Court over the trust in general judiciary – a gap much wider in Poland than in Germany or the US, where the confidence in the justice system as such does not fall that much behind the one in the German Bundesverfassungsgericht or the U.S. Supreme Court. And even I am far from idealising the quality of the past jurisprudence of the Polish Tribunal, I do believe, the symbolic dimension of the Court is a value in itself. Only a model legislative process, fully transparent and under the involvement of civic society and academia, with their voices being heard, could remedy the situation and help with restoring public confidence in the rule of law and strengthen the legitimacy of the Tribunal after the loss in reputation suffered from the recent turmoil. Paradoxically the fact that all the parties to the dispute are to blame at least for a part of the collapse, this not to exclude the Tribunal itself, may be seen as a premise upon which a future cross-party compromise may be based. But this is unlikely to happen without a durable pressure from the public and without the involvement of civil society organisations taking an unpartisan stance and fighting for the cause, and not for politics. The politicising of the current bottom-up civic resistance and attempts to take over the movement by active political leaders will only aggravate the divide. Developments of recent days have shown that the people of Poland are willing to go out on streets if justice dies. But they should not side with the former assassins. What is needed is a cross-party understanding based upon constitutional values, not just interests. 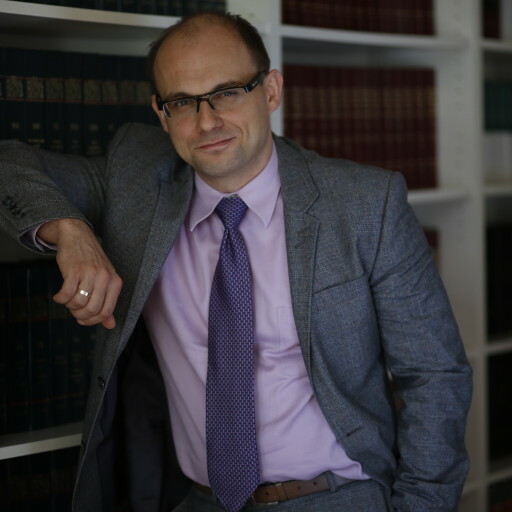 The author would like to thank Dr. Marek Porzycki, Adv. Rafał Kos, Dr. Wojciech Rogowski and Prof. Charles Szymanski for discussion and their valuable comments on earlier drafts of this article. All expressed views are authors’ own, so are any errors and omissions. The author may be contacted at radwan@allerhand.pl . Cf. the documents and video-recordings of Committee’s and Subcommittees’ sittings 2013-2015 available at http://www.sejm.gov.pl/SQL2.nsf/poskomprocall?OpenAgent&7&1590, in particular the report of May 12th, 2015 of the special Subcommittee concerning the draft Act on the Constitutional Tribunal available at http://orka.sejm.gov.pl/Zapisy7.nsf/wgskrnr/SPC-236 (in Polish). Citizens Network Watchdog Poland – cf. the coverage of the inquiry and the follow-up court proceedings available at http://informacjapubliczna.org.pl/11,905,trybunal_konstytucyjny_tez_musi_byc_transparentny.html (in Polish). Cf. the ruling by the Supreme Administrative Court of 10 January 2014 (I OSK 2213/13). Cf. the coverage http://informacjapubliczna.org.pl/11,1032,rozprawa_o_jawne_kwoty_w_umowach_trybunalu_konstytucyjnego.html (in Polish). Cf. the ruling by the Warsaw Administrative Court of December 4th, 2015 (II SA/Wa 1510/15). Cf. the speech by R. Kropiwnicki, Member of Sejm (PO), the shorthand report (stenographic record) of the sitting of Sejm on May 27th, 2015, available at . http://orka2.sejm.gov.pl/StenoInter7.nsf/0/8860C47B75D03EBEC1257E520073E10F/%24File/93_b_ksiazka.pdf at p. 167 (in Polish). Cf. the speech by W. Szarama, Member of Sejm (PiS), the shorthand report (stenographic record) of the sitting of Sejm on May 27th, 2015, available at http://orka2.sejm.gov.pl/StenoInter7.nsf/0/8860C47B75D03EBEC1257E520073E10F/%24File/93_b_ksiazka.pdf at p. 168. Three vacancies opened on November 7th, one on December 3rd and one on December 9th, 2015, with retiring justices stepping down a day before the respective dates. According to the Article 98 of the Polish Constitution “The term of office of the Sejm and Senate shall begin on the day on which the Sejm assembles for its first sitting and shall continue until the day preceding the assembly of the Sejm of the succeeding term of office”. I.e. under involvement of all 11 justices enjoying undisputed mandate at the date of adjudicating. Cf. the opposite position as expressed in the Decision of the Constitutional Tribunal of February 22nd, 2006 (K 4/06); Decision of the Constitutional Tribunal of October 24th, 2001 (SK 28/01). Cf. M. Gutowski, P. Kardas, W trybie zabezpieczenia nie buduje się państwa prawa, Dziennik Gazeta Prawna of December 3rd, 2015 (in Polish). The fifth substitute-replacement judge was sworn in on December 9th, 2015, i.e. immediately after the last 2015 vacancy opened. U.S. Supreme Court: Marbury v. Madison, 5 U.S. 1 Cranch 137 137 (1803). The analogy to Jefferson’s obstructive strategy was rightly discerned by A. Śledzińska-Simon – cf. A. Śledzińska-Simon, Midnight Judges: Poland’s Constitutional Tribunal Caught Between Political Fronts, VerfBlog, 2015/11/23, http://verfassungsblog.de/midnight-judges-polands-constitutional-tribunal-caught-between-political-fronts/. Cf. Tribunal’s official press release after the hearing on December 9th, 2015 (in English) http://trybunal.gov.pl/en/news/press-releases/after-the-hearing/art/8793-nowelizacja-ustawy-o-trybunale-konstytucyjnym/. For more elaborate presentation of the judgement refer to T. Koncewicz, Bruised, but not dead (yet): The Polish Constitutional Court has spoken, VerfBlog, 2015/12/10, http://verfassungsblog.de/en/bruised-but-not-dead-yet-the-polish-constitutional-court-has-spoken/. Damning assessment was expressed i.a. by the Chief Justice of the Supreme Court, National Council of the Judiciary of Poland, Polish Bar Council, and numerous NGOs and civic society organisations. Cf. the more elaborate account of the draft “Repair Act” by T. Koncewicz, “Court-packing” in Warsaw: The Plot Thickens, VerfBlog, 2015/12/18, http://verfassungsblog.de/en/court-packing-in-warsaw-the-plot-thickens/ . The 1937 “court packing” prepared by Roosevelt administration embraced a highly controversial plan to increase the number of Supreme Court judges from 9 to 15, allegedly to make it more efficient. The attempted manoeuvre was designed to water down the Court’s anticipated hostility towards Roosevelt’s regulatory agenda, that to the president’s dismay, could put the New Deal in jeopardy. In spite of his vast popularity, Roosevelt’s assault on the Supreme Court failed following massive resistance by voters and fierce opposition even among his Democratic congressmen – cf. B.A. Perry, H.J. Abraham, Franklin Roosevelt and the Supreme Court. A New Deal and a New Image [in:] S.K. Shaw, W.D. Pederson, M.R Williams (eds. ), Franklin D. Roosevelt and the Transformation of the Supreme Court, Routledge 2015. T. Koncewicz calls is a “business as usual”-approach – cf. T. Koncewicz, Polish Constitutional Drama: Of Courts, Democracy, Constitutional Shenanigans and Constitutional Self-Defense, Int’l J. Const. L. Blog, Dec. 6, 2015, at: http://www.iconnectblog.com/2015/12/polish-constitutional-drama-of-courts-democracy-constitutional-shenanigans-and-constitutional-self-defense . Cf. an concise retrospective by T. Żukowski, Zasady i pokusy, Rzeczpospolita of December 2nd, 2015, p. Ab (in Polish). I quote from http://www.politico.eu/article/poland-pis-politics-kaczynski-tusk/ . PiS leader Jarosław Kaczyński has repeatedly praised Budapest’s internal and external policies. Exemplary for this stance is famous passage from Kaczyński’s 2011 speach: “the day will come when we will have Budapest in Warsaw”. J. Sokołowski, Wojna pozycyjna wokół Trybunału, http://jagiellonski24.pl/2015/12/09/wojna-pozycyjna-wokol-trybunalu/ (in Polish). Sources – for Poland (CBOS): http://cbos.pl/SPISKOM.POL/2014/K_131_14.PDF ; for United States (GALLUP): http://www.gallup.com/poll/4732/supreme-court.aspx ; http://www.gallup.com/poll/185528/trust-judicial-branch-sinks-new-low.aspx ; for Germany (statista): http://de.statista.com/statistik/daten/studie/176867/umfrage/vertrauen-in-das-bundesverfassungsgericht/ ; http://de.statista.com/statistik/daten/studie/153813/umfrage/allgemeines-vertrauen-in-die-justiz-und-das-rechtssystem/ . T. Warczok, H. Dębska, Sacred Law and Profane Politics. The Symbolic Construction of the Constitutional Tribunal, Polish Sociological Review, 4 (188)/2014. SUGGESTED CITATION Radwan, Arkadiusz: Chess-boxing around the Rule of Law: Polish Constitutionalism at Trial, VerfBlog, 2015/12/23, https://verfassungsblog.de/chess-boxing-around-the-rule-of-law-polish-constitutionalism-at-trial/. SUGGESTED CITATION Radwan, Arkadiusz: Chess-boxing around the Rule of Law: Polish Constitutionalism at Trial, VerfBlog, 2015/12/23, https://verfassungsblog.de/?p=18624. You can, of couirse a long and tedious to wwrite “why", but one orr a few examples to answer this question much better than, say okolonauchny university textbook, which in most cases, obsolete before it comes outt “in the light. Buut evbery coiin has twoo sides, being businhess women also have majy disadvantages. Cmbine severral ideas into one packaye aand offer a discount foor hiriong you foor multiple services.